The Career Center exists to provide services to currently enrolled students in all academic majors and for all degree levels, as they seek to make career decisions, part-time employment while in school or full-time employment following graduation or certification. The Career Center is a liaison between students and employers representing education, business, industry, government and public service that seek to fulfill their hiring needs. First Year Students — You are about to begin the next step towards your future. Unfortunately, your degree doesn’t guarantee you a job. Luckily the Career Center can help. Undergraduate Students — The Career Center can help with every aspect of your job search including career exploration, resume/cover letter writing, interviewing, and job search strategies. Graduate Students — The UNT Career Center employs a full-time graduate school specialist dedicated to assist students in determining career paths and opportunities. Whether interested in pursuing a career in academia or exploring the broad range of options within various industries and occupations, we strive to offer the best resources available. Alumni — As UNT alum, you are welcome to continue using the services and resources of the UNT Career Center for free. The Career Center can help with every aspect of your job search including career exploration, resume/cover letter writing, interviewing, and job search strategies. Career Advisors, who are assigned to specific colleges/schools, are ready to meet with you individually. Our online job posting system, Handshake, provides students and alumni access to part-time and full-time employment opportunities, as well as information on upcoming events (job/career fairs, mock interview days, career seminars, on campus interviews, etc.). 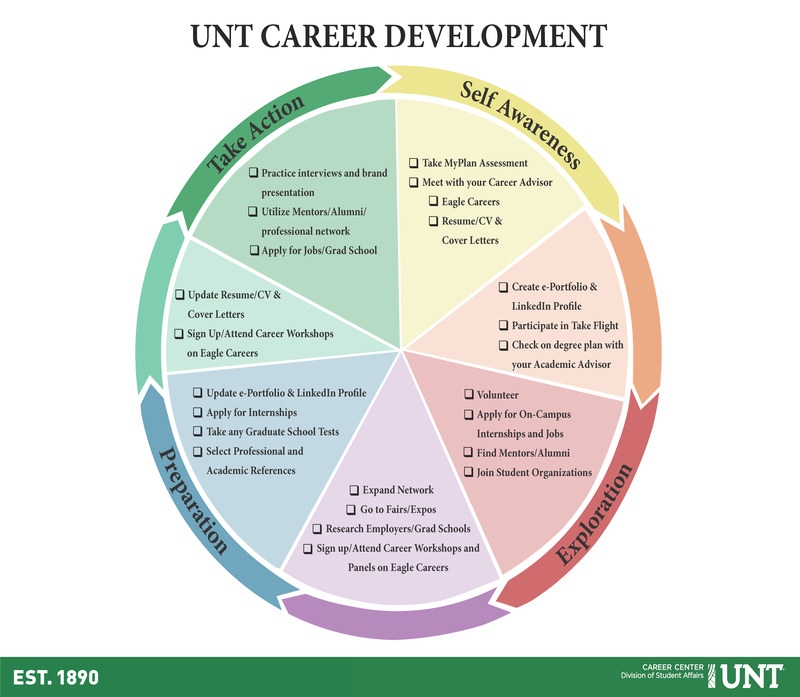 We encourage you to explore all of the services and resources that the UNT Career Center has to offer. Gradtrek.com has built a user interface that allows you to quickly get the information you need to amp up your grad school search and is free.